COMPASS is a special consideration program that recognizes the unique talent and capabilities that select students bring to our campus community. It is designed for students who demonstrate the potential for success in college with guided support. The program provides them with a supportive environment throughout their first year at Buffalo State where they can develop these talents and flourish, both academically and socially, with the assistance of a dedicated professional and student staff. COMPASS is designed to help new students find their way and stay on the right path during the first year of college. Participation in the program requires students meet with an Academic Coach who will assist them in developing their academic and personal skills such as study techniques, test taking strategies, and stress management. In addition to this, students are paired up with a Student Success Associate (SSA) who is a peer SSA's help guide students through their first year of transition into college. COMPASS students are required to enroll in UNC 100, a course that will provide an overview of a Buffalo State education as well as the strategies and skills that will improve a student’s likelihood for academic success.  COMPASS students are also required to participate in Buffalo State's "Success Express" First-Year Academy: A Summer Bridge Experience during the week prior to the first day of classes. Attend mandatory scheduled meetings with the COMPASS Program Coordinator or COMPASS Graduate Interns.